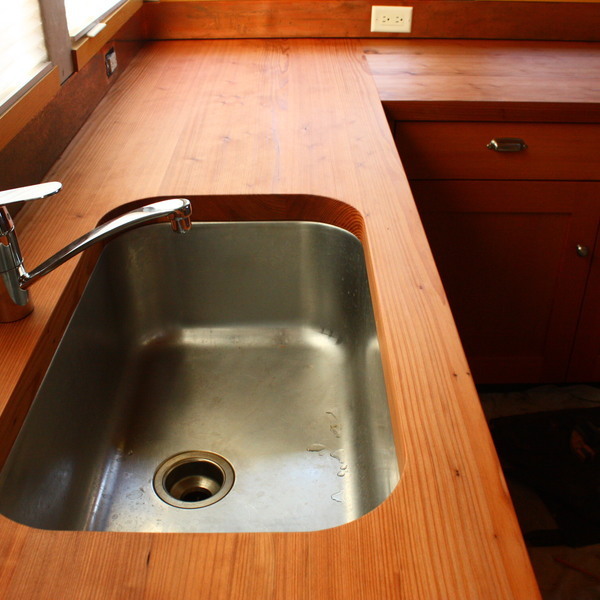 I built and installed this redwood countertop after a neighbor cut the lumber and we dried it for 2 years. Wow! That is impressive and really beautiful!